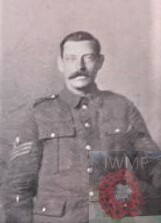 Died: 26th/27th March 1918; age: 39; KiA. Rank: Company Sergeant Major; Service Number: 5373. 1911 Depot Suffolk Regiment, Bury St. Edmunds, Suffolk. 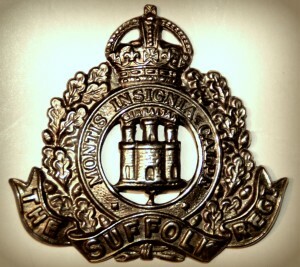 William was 24 years old, a Soldier ranked Corporal of the Suffolk Regiment. In 1911, William’s wife & daughter were living at their family home at 31, Acacia Road, Wood Green, Middlesex. William’s father was William Bates. Lilian M. Bates, born 1910, Wormley, Hertfordshire. William F. Bates, born 1912, Bury St. Edmunds, Suffolk. 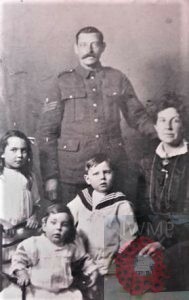 Violet R. Bates, born 1913, Bury St. Edmunds – died 1914, Ipswich. Herbert Henry Bates, born June 1915, Ipswich. On March 20th the 7th Battalion were enjoying the start of a rest period but within hours the Germans began a major offensive at Picardy. The division having taken up positions in the area of Busnes, receiving orders during the night of the 24th-25th moved south to the Albert sector. Travelling through the night under clear moonlight sky’s while passing through Lillers German aircraft bombed the town taking advantage of the clear skies. By dawn No. 2 platoon was reduced to jus 3 men the Battalion had sustained 256 casualties including 12 officers. The 7th Battalion were withdrawn back to Henencourt to rest.